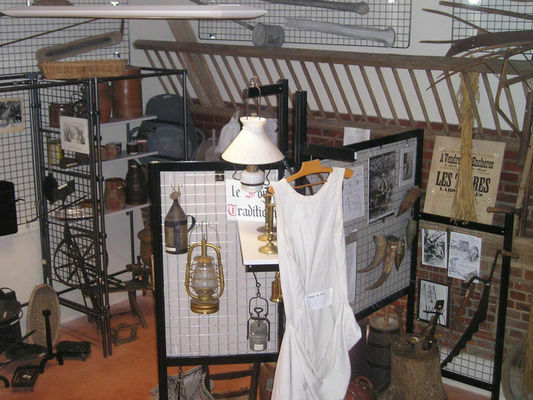 This museum contains artefacts from Jouy, the Eure valley and Beauce, concentrating on the daily life of rural society in the 19th century. The objects and engravings on display are brought to life in their original context: the family home and the village community. The aim is to pass on a rich cultural heritage that is tending to disappear and which is well worth preserving among the younger generations. Most of the 1,000 or so objects and documents on display were donated by the local population. They evoke several aspects of life in the village: the church and the parish, the traditional home, the vine and winegrowers, crafts, agriculture, shops, hotels, domestic life and the wars. * This museum contains artefacts from Jouy, the Eure valley and Beauce, concentrating on the daily life of rural society in the 19th century. The objects and engravings on display are brought to life in their original context: the family home and the village community.